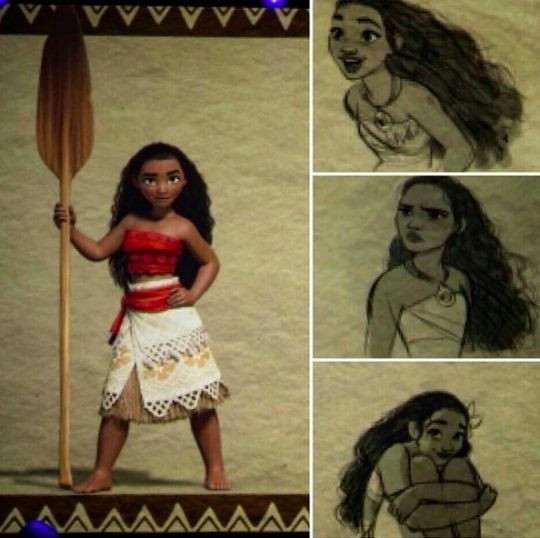 Disney has unveiled its newest princess and she’s Polynesian. Although not slated to hit the big screen until November 2016, Disney was super excited to preview Moana at their annual D23 expo. Set on the islands of the South Pacific and adjoining seas, directors Ron Clements and John Musker describe the Polynesian princess as a “born navigator.” Setting sail on a voyage of self-discovery, Moana hopes to find a mythical island in a region called Oceania. The Rock will also lend his voice as the character of Maui, whom Moana meets during her travels. While Moana isn’t the first Disney princess to break the fair-skin mold (Tiana and Mulan), it is great to see minorities being portrayed more in more in film, especially an animated one that children from all walks of life will enjoy.